Insta-famous canals, dazzling dance scenes, and centuries worth of cultural heritage. Amsterdam is a city dear to many wanderers of the world. And we've had the honor to call it our home for the past two years. We do believe though, that the most beautiful thing about this city, is yet in the making. Amsterdam is one of the world’s leading cities in electric transportation. Voted Europe’s Innovation Capital of 2016, Amsterdam is a Living Lab for research institutes, businesses and start-ups. Bringing these parties together, the city nurtures the growth of innovative solutions for clean and sustainable transportation aiming to improve air quality and public health. "This is why Amsterdam has set the ambitious goal to become a zero-emission city by 2025," Bart explains. For Amsterdam to reach its goal, all motorized traffic would either need to be clean (including trucks, public buses, and private passenger cars), or emission-free (including taxis, vans, motor scooters and passenger ferries). Today, Amsterdam is home to almost 19,000 electric drivers, and offers about 400 full-electric taxis and 300 full-electric Car2Go cars to help locals and tourists to get around town. The city now invests in even more incentives, support and regulations for everyone to adopt electric vehicles. Some initiatives consist of: parking privileges for emission-free taxis, clean zones to keep out “dirty” vehicles, subsidies for business fleets and private owners, and even exclusion from parking permits for petrol-powered vehicles. In addition, the city plans to run a massive expansion of charging infrastructure. This project is taken care of by a collaboration between energy utility Nuon, installation partner Heijmans and charging station provider EV-Box. Why is EV-Box cut out for this project? Amsterdam recently signed a new seven-year contract with Nuon/Heijmans for the roll-out of our charging infrastructure. 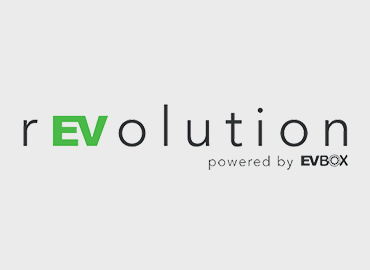 This contract appointed EV-Box as the key supplier of charging stations. Essential to this tender, was to build a charging network that can accommodate future innovations and new standards. "The modular design of EV-Box charging stations passed these requirements. EV-Box will play an integral role in the expansion and innovation of charging infrastructure in Amsterdam," according to Bart. Prior to this renewed collaboration, EV-Box already helped the city to achieve about 1,500 charging points throughout the city. These charging points generated more than two million clean kilometers from approximately 30.000 charging sessions each month. This achievement paved the way for a new goal that should push the city to become emission-free: 4.000 charging points by 2018. The new expansion started early 2016; currently counting +2.000 charging points. Along with the growth of charging points, comes the demand for smart solutions. These solutions should not only provide sufficient power to cope with the rising electricity demand, but they need to ensure the infrastructure is efficient and cost-effective for maintenance and scalability. EV-Box will use Smart Charging technologies to prepare for the needs of an increasingly more EV-centric city. "Smart Charging allows everyone to charge affordably and sufficiently, without overloading the grid network. It’ll play a crucial part to our energy transition targets,” Bart explains. In the coming years, a network of smart charging points and fast chargers will be placed in the public space. Commercial businesses and apartment buildings install charging facilities to provide infrastructure outside of the public space. Charging data is monitored to define usage patterns of various drivers, as well as how many chargers are needed in which locations. With a significant increase in electrification, the generation and management of clean energy has become one of the top priorities for Amsterdam. All of the electricity needed for its public charging points, is currently generated from local wind mills. In addition, the city aims to increase local production of solar energy from 5,000 to 92,000 households in the next three to four years. Amsterdam is now assessing the possibilities of temporary, local storage of energy through vehicles’ battery packs or in separate reusable batteries. In this futuristic scenario, energy can be generated locally, and returned to the grid at peak times. This will make all of us less dependent on fossil fuels, perhaps once and for all. Full taste, zero sugar, you'd say? Full electric, zero emission, we'd say. We’d like to express our gratitude to The Municipality of Amsterdam for its contributions to a greener, more sustainable future. Special thanks to Bart Vertelman, who has helped us draft this case study. Source: Plan Amsterdam Publication 03/2016. No time to read? Tune in on Instagram and YouTube for a peek into the wondrous world of EV-Box & e-mobility. Businesses must include sustainability as a pillar of their strategy, and there are more role models than one thinks. Here are our CEO Kristof's findings from the 2018 Global Climate Action Summit in San Francisco. From that H&M T-shirt to a Philips light bulb—companies are transforming their operations model to a circular one. Here's how circular economy works, and why it's so important.